The delivery of prescription medication to patients, whether at your local neighborhood pharmacy or hospital, is carried on today primarily by the coordinated effort of pharmacists and pharmacy technicians working together. Those of us who have been in this field for some time have seen this partnership blossom over the years. The Pharmacy Technician, which began as a rather loosely defined job with a somewhat limited scope of responsibilities has since matured into a critical role in the safe and efficient delivery of medicines. It was as a pharmacy tech in a Southern California drug store that I got my first taste of this field. In my case, it was the launching ground for my decision to pursue a career as a pharmacist. Over the course of my career I have had the privilege of working with some fabulous pharmacy technicians. I intend to post a short series of interviews with several pharmacy techs that will share with you their perspectives on the profession and describe for us their job. The first of which I would like to introduce you to is Cassie McIntyre, a certified pharmacy technician working for Correct Rx (a closed door pharmacy) in Maryland. Cassie has done a great job networking with other professionals on websites such as TWITTER and AMAVENRX and LinkedIn. It is an honor to speak with her about her career experiences as a Pharmacy Technician. Cassie thanks so much for taking the time to talk with us here at The Honest Apothecary! Why did you become a pharmacy tech? What interested you in this profession? Before I became a pharmacy technician, I was in the United States Air Force. When I got out of the service, I was faced with the same problem countless veterans face in this economy. Military training and experience, while considered admirable, do not transfer into the civilian sector as we were promised. So, I found myself unemployed with a new baby and with no trade or skill. The economy was just really starting to tank at that point and so I thought to myself, what kind of job can I get in which job security would not really be affected by a recession? The obvious answer was a job in healthcare. However, I have an unfortunate aversion to the “ick factor” most of these jobs entailed. I looked into healthcare jobs that were more on the administrative side, like coding and billing, and decided to go to a local career training institute to get more information. After interviewing me, they felt like being a pharmacy technician would better suit my personality. I had an Air Force buddy who worked as a pharmacy technician on the Air Force base, and I met with her to get more information on what her job was like. She really seemed enthusiastic about her job, and I was drawn to her accounts of how challenging and varied the work was. She also advised me that in Oklahoma, “in service” training was all you needed to get your technician license. She told me that these career schools were basically scams and to avoid them. I’m glad I listened! They were ready to charge me $17,000 for a 6 month program! I applied to every pharmacy near where I lived and got picked up by Wal-Mart Pharmacy 2 weeks later. The rest, they say, is history. Are you nationally certified? How did you go about that process? After about a year with the Wal-Mart Pharmacy in Norman, OK, I moved to Maryland where I was granted reciprocity. After 4 months, I got news that I was now eligible to use the Post 9/11 GI Bill benefits for my education. This new benefit not only paid my tuition, but also a monthly stipend that about equaled what I was getting paid. I decided to leave my job and focus solely on my studies. While I was able to knock out a good amount of credits, my benefits soon ran out and I found myself needing to get back into the workforce. I had let my Maryland technician license lapse while I was in school, and now reciprocity was no longer an option. Either I had to attend an approved (and costly) training program or I had to get nationally certified. I decided to get certified, but my luck would have it that the PTCB website was shut down for a week for upgrades. A week went by, two weeks, I lost count. The website finally came back up, but it was so full of bugs that no one could register for an exam or recertify. I didn’t have time to wait around, so I decided to take the ExCPT since Maryland also accepts it for a license. 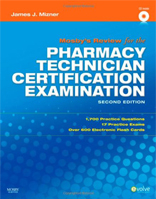 I studied Mosby’s PTCE study guide for a couple of weeks while waiting for my test date, mostly brushing up on sigs and calculations. I traveled 2 hours to the test site and finished my exam in something like 25 minutes; I was the first one out. I hate being the first one done, no matter how confident I am during the exam, getting done too quickly makes me nervous. I passed with flying colors. What exactly do you do as a pharmacy tech in your current position? Well, I literally JUST got hired on at Correct Rx Pharmacy Services on Monday. We’ve been waiting on a background check and for me to get my physical license in the mail before they can start me. I got my license on Tuesday and my background came back this afternoon, so hopefully I’ll get a call soon about a start date. Correct Rx is a closed door institutional pharmacy located in Linthicum, Maryland right next to the Baltimore/Washington International Thurgood Marshall Airport. They fill about 11,000 prescriptions per day for nearly 200,000 patients in correctional facilities across 32 states. That’s the population of Orlando, Florida being served by a pharmacy with 100 employees! I’m sorry, but this is an incredible story. The company was started in 2003 by Dr. Ellen Yankellow and her 2 business partners (both pharmacists). She had left a partnership with another institutional pharmacy that had gone public, and she was a minority owner so she basically walked away with nothing. Most people would lie in bed all day and cry after losing their livelihood, but not her. The next day, she sat around her kitchen table with her two business partners and her CPA sister and drafted a business plan. She then, with no collateral or signed contracts from any clients, went to six different banks and asked for a million dollars. Incredibly, one said yes. One month after leaving that partnership, Correct Rx was up and running and had taken on 35,000 lives. What do you like most about your career as a pharmacy tech? I like that you can take the career in so many directions. There’s retail/community pharmacy, hospital/institutional/clinical pharmacy, there’s nuclear/compounding/specialty pharmacy, and there are also federal and state government positions. I saw a position a few weeks ago from the Maryland Board of Pharmacy for an Inspector. The incumbent had to be a registered pharmacy technician and have a bachelor’s degree (I lacked the degree), and the position entailed traveling all over Maryland’s Eastern Shore inspecting pharmacies. The sky is really the limit. I’m also a bit of a social butterfly, so I really enjoy attending conferences and conventions and the like. While there is a certain amount of job security in being a pharmacy technician, most of the jobs available are in retail. It’s very difficult to find a retail pharmacy willing to pay you over $12 an hour. Working retail is a challenge in and of itself. While we enjoy poking fun at our experiences with, let’s say ‘difficult’, customers, it is also a huge source of stress on the job. I would say a challenge typical of any pharmacy environment is being able to maintain a high volume and fast pace while also maintaining 100% accuracy. People’s lives depend on it. That’s a lot of pressure to put on anyone. Would you recommend being a pharmacy tech to others? It takes a certain kind of person to be able to do the job, so I wouldn’t recommend it to just anyone. But if you’re a good fit for the profession, definitely! Go for it! Where do you see your career going over the next 5-10 years? I actually don’t believe in 5 year plans. I used to plan my future, but absolutely nothing ever goes as planned. I kind of just go with the flow now. I will probably get back into school and pursue a business degree once I settle into my new job. Beyond that, I’m just going to give this job my best and see where it takes me. Cassie, I want to thank you once again for sharing your career with us here at The Honest Apothecary. Thank you for your service to our Nation in the Air Force as well. Those who wish to contact Cassie may do so through her website profile. 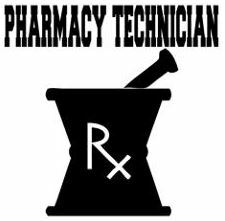 Do you have thoughts on the Pharmacy Technician Career? Please feel free to share them below! Summer Afternoon, Sunscreens & Sunburn – What you need to know!